Stepping up your snack game, huh? We feel you, and we want you to know that we got your snacks covered.... and smothered, and toasted, and coated, and well you get the idea. 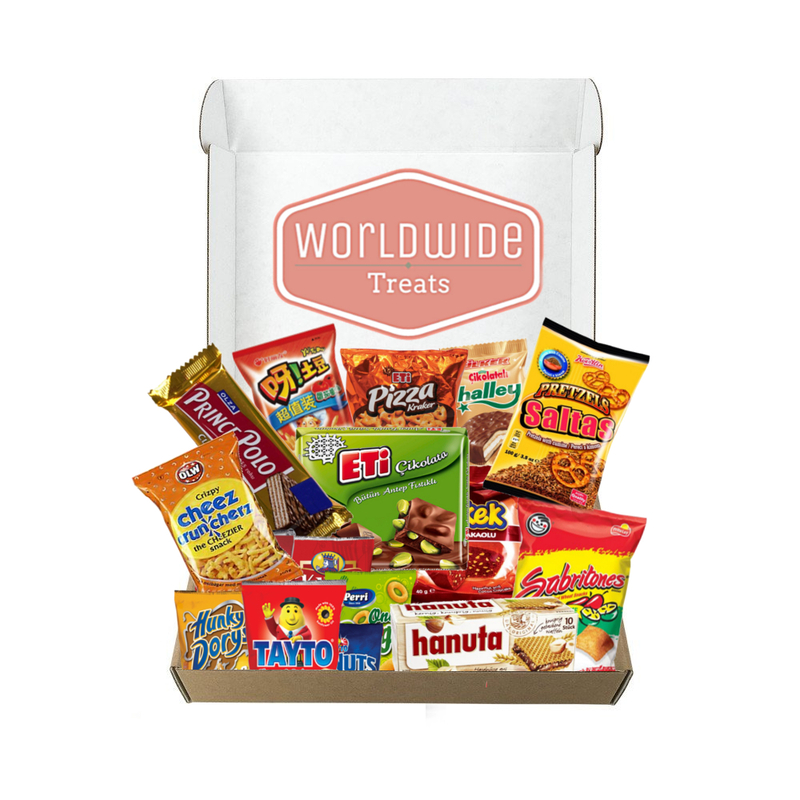 This is the most popular and most requested Snack box we offer because it's not limited to one single country. 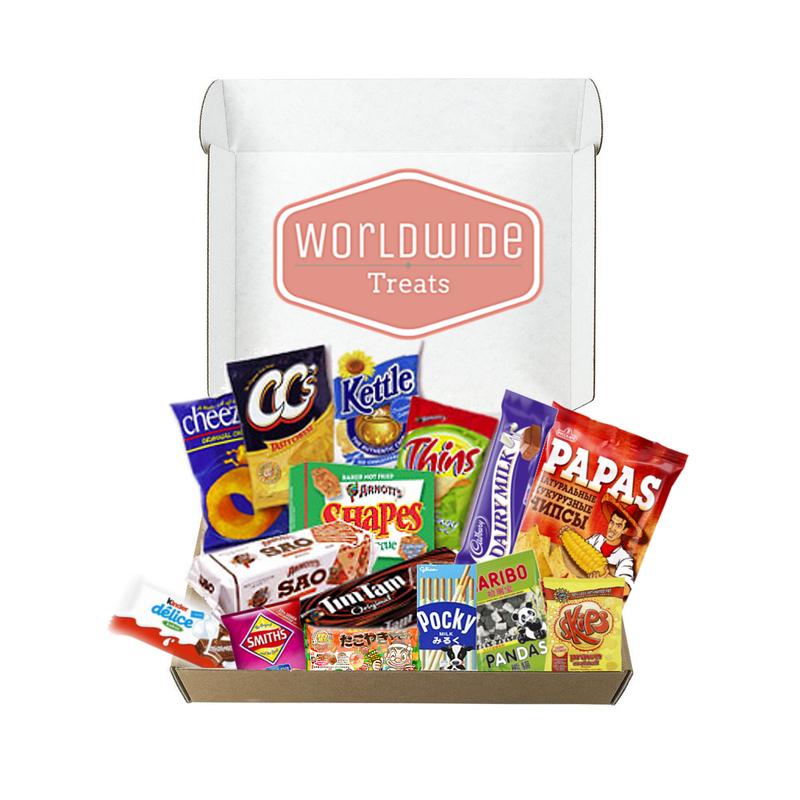 It includes a wide-ranging array of treats from around the world. From bite to bite, you can jump from Denmark to India to the UK and everywhere in between; all without ever leaving your comfy little abode. This is one trip you can take at your own pace. So come tour the world with us, won't you? HINT (((you will))). ADDITIONAL INFO: Items in the photo are examples of what you may find in your box and are not exact, as items will vary from box to box and month to month. Each item is guaranteed to be made in a country outside the USA to keep the experience authentic and no items will be duplicated unless requested. WHAT'S IN THE BOX: At least 10 (but usually MORE!) 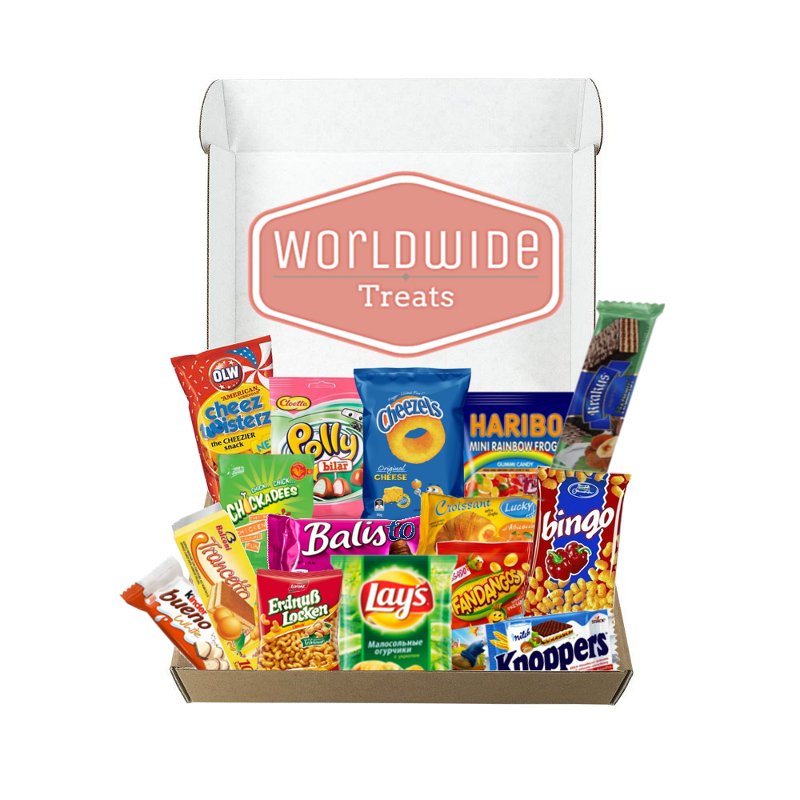 packaged Snacks that can include any of the following: Chips, Candy, Chocolates, Wafers, Cookies, or Biscuits!